Start your day off right with this perfect combination! 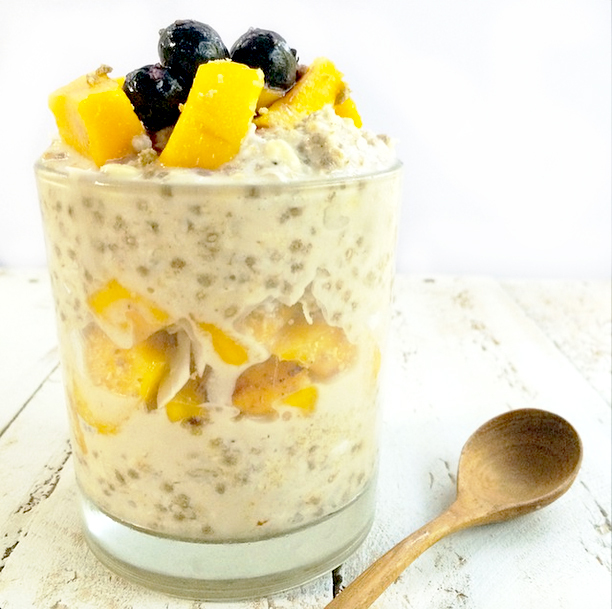 Oats and chia seeds are high in fibre and great to fill you up until lunch time. Soaking oats overnight makes them easier for our body to digest also helping the release important vitamins our body needs. What I love about this breakfast is you make it the night before. 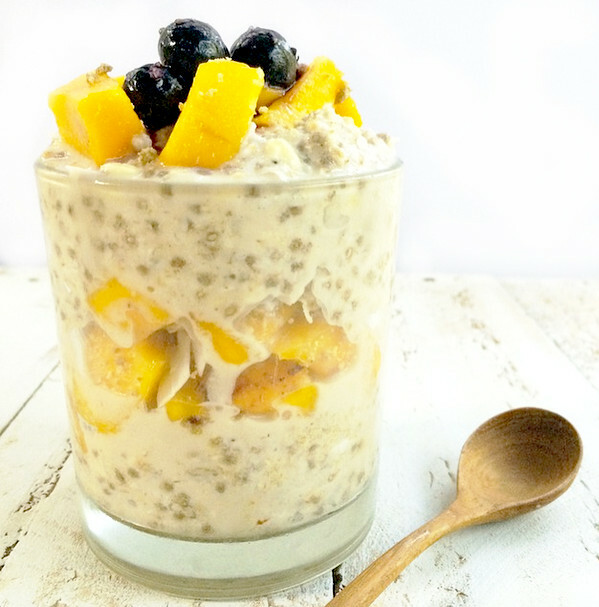 Perfect for people who are on the go as you can store in a jar, top with fruit and run oat the door knowing you have a nourishing breakfast ready to eat. Simply put everything in a jar except toppings, mix together with a spoon and place in the fridge overnight. In the morning, add your toppings and enjoy!